It's tough to complain about the year-round sunny and warm weather that's typical for the Malibu, Oxnard and Calabasas area. But if we had one minor gripe, it's that we don't notice the changing of the seasons as much as some other parts of the country. To make up for it, celebrate the start of spring with a new Porsche, a luxury ride that's bound to heat things up in your life. The spring season is all about starting over, getting back outdoors and enjoying the warm weather. Here at our Thousand Oaks, CA Porsche dealer near Los Angeles, we experience the kind of sunshine and warmth that makes a top-down 718 Boxster or 911 Convertible sensible for any time of year. But since the weather won't change overnight, make the big switch to a gorgeous new Porsche model that we'll help you lease or finance today. 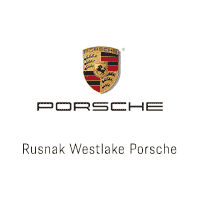 Swing on over to Rusnak/Westlake Porsche right now and start your spring off on the right foot.